My favorite drink is coffee! Yours? I know I'm by far not the only one who can't start a day properly without a cup of coffee, or a 'bakkie troost' as people (especially older people) in The Netherlands call it, meaning 'a cup of comfort'. For my parents, as being a bit older people, I made two cups that I handlettered with a porcelain pencil. Both quotes are from songs. 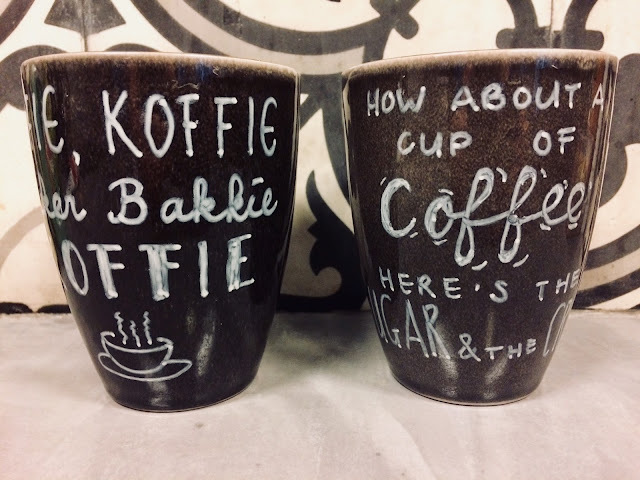 The first one is from a Dutch song and means 'Coffee, coffee, delicious cup of coffee', the second one is from a song by Dr. Hook, namely Cookie and Lila. Maybe you remember the post from last year, about going to Dublin with my father to go to a concert of Dr. Hook in the Olympia Theatre. I made this mug is as much for coffee as to remember that great trip. In a little jar I've put instant mix for Wiener Melange. I thought it would be a nice little Christmas present for coffee lovers. Great present idea! Thanks for sharing at Home Sweet Home! 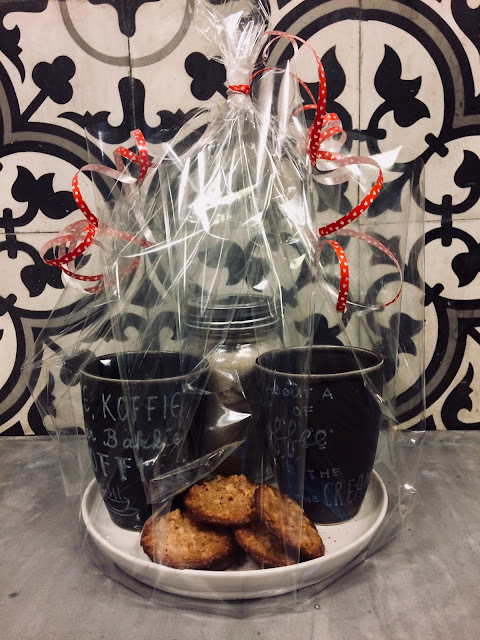 A great gift for coffee lovers! Thanks for sharing with SYC. Thank you for linking up at Create, Bake, Grow & Gather this week and throughout 2017. I've thoroughly enjoyed all your projects and hope you'll continue to share your awesomeness with us in 2018. Thank you showing your appreciation this way, Kerryanne! The best of wishes for you, too! Very cute gift idea for any coffee lover! Thanks for sharing at Merry Monday!